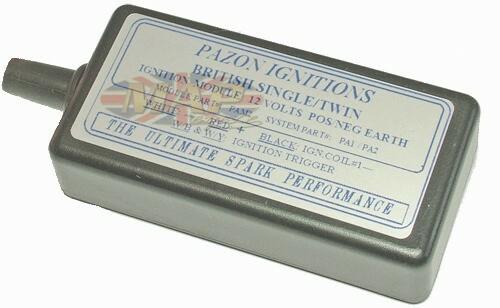 Have a Question about Pazon Sure-Fire 6-Volt Norton Lightweight Electronic Ignition ? Designed to provide the Norton Jubilee, Navigator and Electra with a dependable, fully electronic ignition. 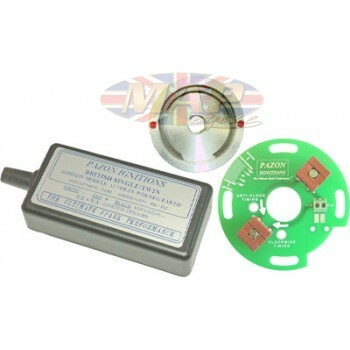 Fits Norton lightweight twins with 6-volt electrics (positive or negative ground), originally fitted with Lucas mechanical advance and 3" contact breaker assembly. 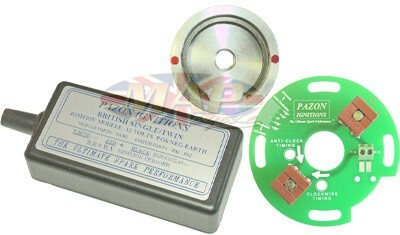 This system replaces those points, condenser and mechancial advance unit. 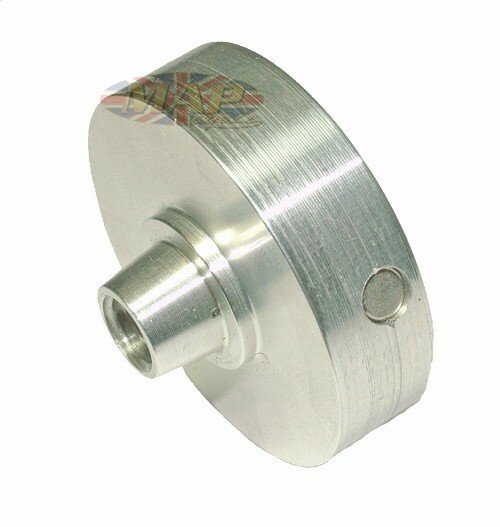 7-1/2 year manufacturer's warranty. 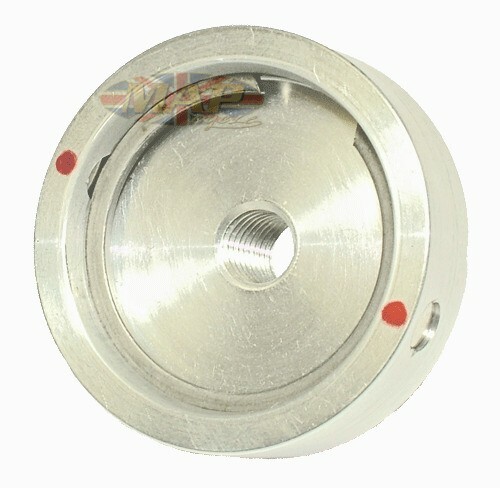 Precision engineered aluminum rotor with small powerful submerged button magnets - no screws to foul the pickup, as associated with other systems. Do you view electrics as black magic? Are your concerned about wiring up the wrong way? 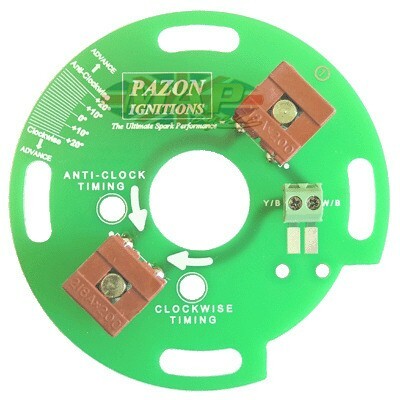 Don't worry, the SURE-FIRE Ignition Module is protected against reverse battery connections (easily done if you are unfamiliar with vehicle wiring). Every SURE-FIRE system includes a comprehensive full color installation booklet to guide you through, with easy-to-read, detailed instructions, photos, wiring diagrams and advance curves.